1) 如果不想回来发现信箱爆满的话, 信可以用邮局的mail hold service, 可以在网上填表。邮局到时间会自动为你hold所有的mail. 待你回来后，邮局会将所有的信给你用一个USPS专用的box送过来. 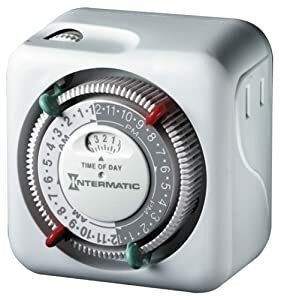 2) 出远门，家门口可以停一辆车，家中用定时器(security timer)定时开灯关灯。出门事宜只告诉真正信得过的人。可以将控制前门front door的light switch换成霍尼韦尔的programmable timer switch. 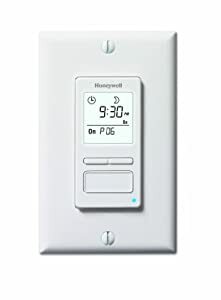 比如说这个 Honeywell Econo Switch 7 Day Programmable Timer Switch for Lights. 4) 在家装security system. 不要用ADT或其它要monthly charge的service. 因为你会因此而花费很多(三年大约$1500). 你完全可以自己买和安装security system。与ADT相比， 效果几乎一样， 但没有monthly charge。 这里，推荐看看这篇文章里面的security camera.